Here at All Things Jabu we are constantly striving to make sure that you get something extra out of being a reader. And this time, with the help of DHL we will be delivering on that promise. Joel Stransky and Chester Williams were two of the heroes of the 1995 Rugby World Cup with Chester scoring four tries against Samoa and Stransky putting over THAT drop goal in the World Cup Final. 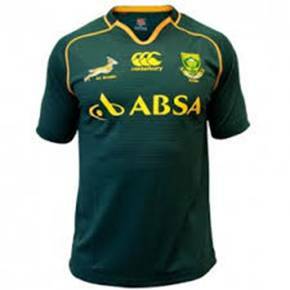 The two have also signed a Springbok rugby jersey that we are giving away to one lucky reader. So the important question is, how do you win? @TyronBarnard please #DHLDelivers me the @Bokrugby jersey signed by Joel Stranksy and Chester Williams! The competition is only valid to South African residents and the competition closes on Thursday 24 October at 12:00 and winners will be announced that afternoon. Then stay tuned to All Things Jabu as DHL continue to build their relationship with rugby around the globe.